Artificial intelligence (AI) is a source of both huge excitement and fear across the HR function. What are the real opportunities and challenges for HR? Drawing on a framework analysis of how AI will impact HR, I identify the most valuable win-to-win value proposition where machines and HR team-collaborations work together to deliver a brand-new HR approach to the market. 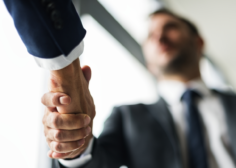 We have all witnessed the evolution of the HR function, moving from a traditional department that hires, fires and manages benefits, to having the opportunity to be a “business partner” to support business transformation. 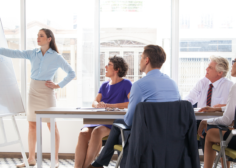 Fortune 500 organizations have developed advanced HR practices that leverage strategy and operating models using talent, culture and leadership capabilities. 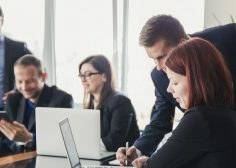 However, technology disruption is challenging HR to design a strategy that delivers a different value proposition, one that includes AI, and to better serves employees and customers delivering value to shareholders. 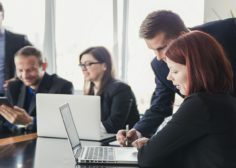 According to IBM’s 2017 survey of 6,000 executives, “Extending expertise: How cognitive computing is transforming HR and the employee experience”, 50% of HR executives recognize that cognitive computing has the power to transform key dimensions of HR. And 54% of HR executives believe that cognitive computing will affect key roles in the HR organization. 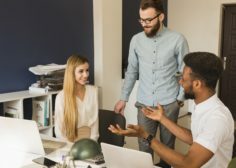 The message is clear: CHROs and CEOs recognize the value proposition that cognitive solutions bring to HR and believe its unique advantage can address the new talent and workplace imperatives; however, most are uncertain how and where to start. 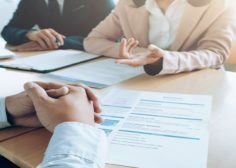 Talent acquisition: AI is already enhancing talent acquisition, giving support in resume screening, candidate sourcing, ATS mining, while reducing unconscious bias in the selection process. Chatbots are interacting with candidates, answering FAQs about the position, asking screening questions about qualifications, interviewing and scheduling pre-interviews via email, text message and social media. Mya has the ability to automate candidate sourcing using AI. 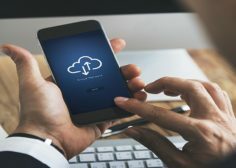 The technology engages with passive candidates from both internal and external sources, and through conversation is able to match them to relevant job opportunities or schedule them onto the calendar for an interview. MyAlly automates the recruitment coordination process, candidate pipeline and evaluation (hiring manager feedback) to boost productivity, shorten time-to-hire, and make recruiting processes more candidate-friendly. Talent development: Harnessing revolution: Creating the future workplace, a 2017 Accenture research report, reveals that most workers (80%) believe that automation will provide them with more opportunities than challenges, and 95% believe they need new skills to stay relevant at work. AI leverages talent development providing cognitive insights to up-skill employees and can tailor recommendations for learning and career management. 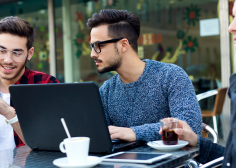 AI can help with class enrolment, training delivery, retention, follow-up and assessment. Mobile Coach offers automated conversations to transform training programs. It’s a chatbot that holds conversations with users to reinforce training and to help you to stay connected to their progress. It’s customized to fit each individual learning and training plan. Butterfly is your AI leadership coach and uses team feedback to help managers grow as leaders. The system collects employee feedback via 30-second pulse surveys. The data is captured in a way that helps managers improve their management skills and monitor the team’s feedback in real time via an intuitive dashboard that follows, analyses and reveals macro-trends. HR operations: Bobby Mukherjee, a Silicon Valley entrepreneur and CEO of Loka, is currently working on a chatbot called Jane, which is designed to help HR teams develop better forms of communication. Through the use of AI, Jane can answer employee questions in real time on the Slack messaging platform. 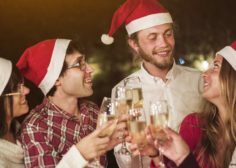 For example, if an employee wants to know the company’s holidays, they can simply type in their question, send it to Jane, and receive an immediate response. Jane ultimately provides a solution for HR teams struggling with on-demand communication and employee engagement rates. This example sets up the multiple ways that AI can provide support in HR transactional work related to holidays, policy interpretation, benefits, and general HR administrative activities. This allows HR teams to focus on processes or practices that generate more value to people and the organization as a whole. Lastly, AI for HR can be used for more than just answering questions via chatbots—chatbots can be used to gather employee data to make more informed decisions and create more efficient processes that provide clear insights into the business. 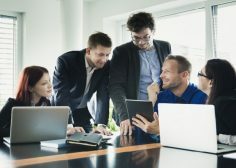 The message is clear, AI can help eliminate repetitive tasks, accelerate the search for talent, transform the employee experience and provide people-related data to support business growth and innovation. Machine learning and chatbots will simulate human behavior to redesign HR delivery models and value propositions. AI reacts faster in reviewing and processing data that might otherwise take many hours if performed by employees or be neglected entirely. Machines can provide services 24 hours a day, 7 days a week, making HR agiler while supporting talent acquisition and allowing HR business partners to speedup HR transactional work. AI means making an investment and assessing team skills, job design, processes, and structure to design and implement an AI HR strategy. This process starts with an HR capability map assessment to identify which processes will need to be transformed or enhanced with AI. 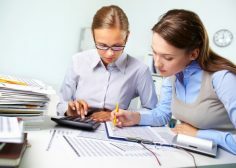 Furthermore, this technology is expensive and may require the right partnerships to be created across your organization to convince your CEO and C-Suite executives to make an investment in HR instead of marketing (to improve customer relations) or operations (to improve operational excellence). However, I think there is an opportunity within the HR profession to build the business case and assess what the impacts and potential efficiencies are, and therefore what the cost savings are, in the long run, and how they are linked to business strategy. Bottom line is that HR will be augmented with AI technology that can deliver and enhance better candidate and employee experience. CHROs and senior HR leaders need to create an HR framework to consider all the aspects described above in order to develop an AI strategy for HR. That strategy should have a clear outcome: support innovation capabilities and use agile practices to reflect and support the new era of “speed” results and business models. Lastly, keep in mind that we are not replacing the human component in HR, HR is adapting to this fourth industrial revolution, where customers, clients, and candidates are connected with one click. 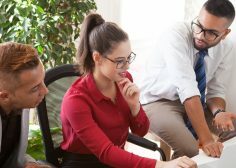 How do you feel about an AI strategy to support HR transformation? Is your organization ready? 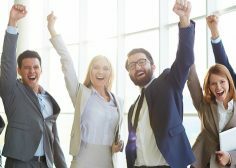 8 Clues That a Candidate Will be an Exceptional Employee Over the past 40 years, I have reviewed at least 30,000 resumes and LinkedIn profiles..
4 Smart Ways to Increase Employee Retention Keeping your employees once you have them is a thorny problem in the staffing services industry. The difficulty..
How do you make sure you don’t lose out on those candidates who bring additional talents, interests, and unusual experiences that can be a real.. 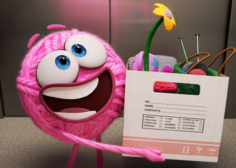 In an 8-Minute Animated Film, Pixar Just Captured Why Companies Still Struggle With Workplace Diversity Yes, it's a movie about a pink ball of yarn--but..
How to conduct an effective job interview As the employment market improves and candidates have more options, hiring the right person for the job has..
14 Ways to Stay Focused at Work Through the Holidays We’re in the midst of the holiday season, and as you try to juggle parties,..
Why Great Employees Leave “Great Cultures” “We have a great culture.” We have all heard it. We have all said it. But what does that..
Young Workers No Longer Get the On-the-Job Training They Need -- So They're Finding It Elsewhere With companies training people less, the most valuable path..
3 Ways You Can Help Your New Hires to Succeed Filling a vacant position is expensive, and unless you do these three things, it's liable..
Three Ways To Prevent Someone From Stealing Your Spotlight In A Meeting We've all been there at one point or another. 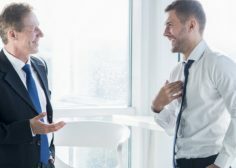 You're in a meeting,..
That 'Bad' Interviewee You Just Talked to May Be the Perfect Match for Your Job Opening The 'pattern matching' that companies have long used to..
Why managers should overlook results in these situations By focusing on culture and people first, you can set your team up for success in the.. 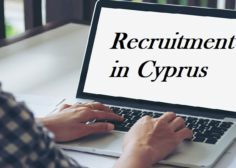 Recruitment in Cyprus - Thoughts and Ideas from Advance Career Team Read the detailed interview published on TopJobsCyprus website and share your comments and ideas!.. 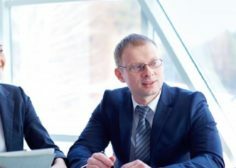 Help Your Team Members Succeed (Especially When They're Tempted to Leave) Help that valued employee being lured by another opportunity think through what they are..
Are You Hiring a 'Team' Player -- or Someone Just Looking out for No. 1? 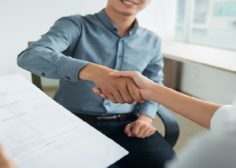 How can leaders make sure they're not unwittingly inviting a..
How To Bounce Back When The Job Search Gets You Down With a dream job in mind, an updated résumé in hand and responses to.. When 'What Happens In Vegas' Ends Up In Your Job Search What happens in Vegas really doesn’t stay there. That “funny” picture about that..
How To Develop More Emotionally Intelligent Employees In the quest to develop leaders who will foster a culture of equity and inclusion in the workplace,..
5 Ways to Reward Employees When Raises Aren't an Option Many workers are doing double duty these days because employers either can’t afford to hire..
5 Steps to Hiring the Right People for Your Business "Hire slow, fire fast" is great advice, but it's not always easy to follow. The..
Work-Life Balance Is Simple. To Succeed at Work, Get a Life. With the right balance of health and business, entrepreneurs can maximize productivity. The Organization.. 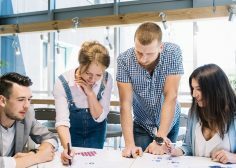 When to Hire Raw Talent vs. Job Experience Experience is a must for some jobs, but people with raw talent offer unique benefits. 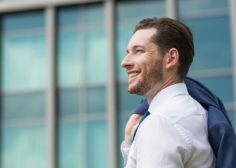 You have..
How to get back on track when you’re having an unproductive day A rocky start shouldn’t dictate your entire workday. 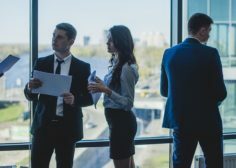 Do these things to reverse..
Why Office Communication is Highly Valued and Often Ignored A huge number of employees don't trust their bosses, and it's not hard to figure out.. 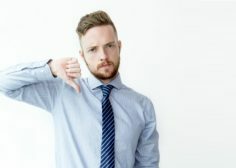 The Negative Impacts of a High Turnover Rate High turnover rates can negatively affect a company and its employees in many ways. 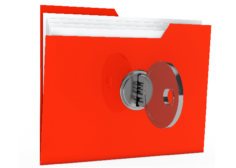 With the constant..
Five Final Checks To Ensure GDPR Compliance It is just one week until the EU update to General Data Protection Regulation (GDPR) compliance deadline of.. 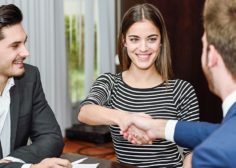 Seven New Onboarding Strategies You'll See This Year According to a study from Equifax, more than half of all employees who left their job in..
Is giving negative performance feedback really negative? 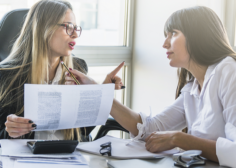 Negative performance feedback is a difficult topic to talk about. Does it help the performance? This feature throws..
4 Ways To Inspire Change In Your Employees Have you ever listened to a speech that inspired you so much, you were ready to make..
Don't Shuffle People Into the Wrong Job Just Because They're Already on the Payroll You grow your company by putting proven performers where you need..
Why the Best Internal Candidate Might Be from an Unlikely Part of the Company Nearly a decade since Gallup released its bible, Strengths-Based Leadership, which.. 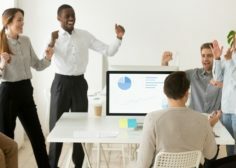 Tips for Minimizing Workplace Negativity To Deal with Negativity in the Workplace, Use These 9 Tips Nothing affects employee morale more insidiously than persistent workplace..
Why a Coffee Shop Will Probably Be Your Workspace Within 10 Years As the gig economy grows, there are both social and scientific reasons why.. 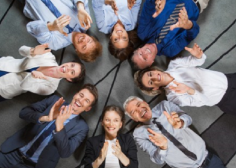 The Best Way to Set New Employees Up for Success Create an onboarding program that's both meaningful and memorable Congratulations; you've just hired a terrific..
7 Ways Modest Leadership Increases Team Success When we imagine the traits of successful leaders, whether they are managers, high level executives, CEO's or owners.. 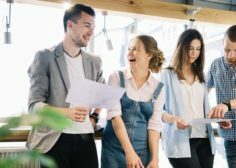 Grateful Workplaces and Engaged Employees All leaders need to ask themselves why happy and engaged employees are worth their weight in gold. If you’re a..
What's HR going to be in 2022? 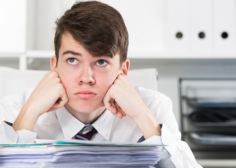 A Study sheds some light... A recent study shows us a glimpse of what HR might look like..
How to Avoid the No. 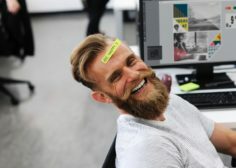 1 Reason People Leave Their Jobs William James, the father of psychology, stated that the most fundamental psychological need is..
Will You Be Leading an HR Function in 2024? Here are five things to look at to examine and determine if you’ve got what it.. Importance of Effective Employee Appraisals The performance appraisal may be one of the few times during the year where an employee and the reviewer, typically..
Employees don't see link between pay and performance Employers gave themselves only mediocre ratings on pay programme effectiveness. 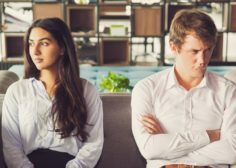 Employees are struggling to see the link..
Workplaces still hamper productivity Noise, lack of privacy and space are some of the factors causing the greatest dissatisfaction among office workers Nearly half of..
There’s Still a Gender Gap. 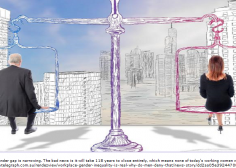 How It Varies Depends on Who You Ask According to a survey, there’s a vast space between the views of.. 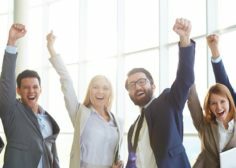 The Best Ways to Reward Employees. 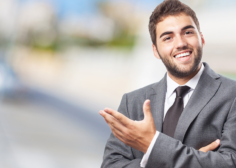 Having an effective reward program in place can help solve many of your HR issues. Every company needs a..
Burnout at Work Isn’t Just About Exhaustion. 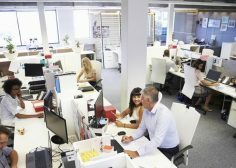 It’s Also About Loneliness More and more people are feeling tired and lonely at work. 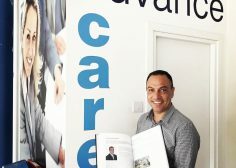 In analyzing the..
People Don’t Take HR Seriously; Here’s Why That’s Dangerous Legacy beliefs like being the bad guy and a lack of strategic vision isolates HR, and..
Congratulations to our Director Kyriacos Anastasiou who has been selected as one of the 200 entrepreneurs in Cyprus of the 21st Century!! 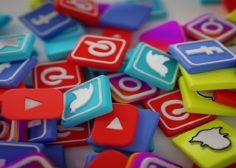 Bosses told to stop snooping on employees' Facebook profiles Bosses should not snoop on employees’ Facebook and Twitter profiles even if their accounts are publicly..
Diversity Doesn’t Stick Without Inclusion Leaders have long recognized that a diverse workforce of women, people of color, and LGBT individuals confers a competitive edge..